If it’s any consolation, the Director is not alone. Today we’re debuting our 2015 Insider Risk Report. We surveyed 2,000+ office workers about their data security habits. We learned, for example, that 22% of Baby Boomers like Director Brennan have emailed company information to their personal email address. People who should know better. 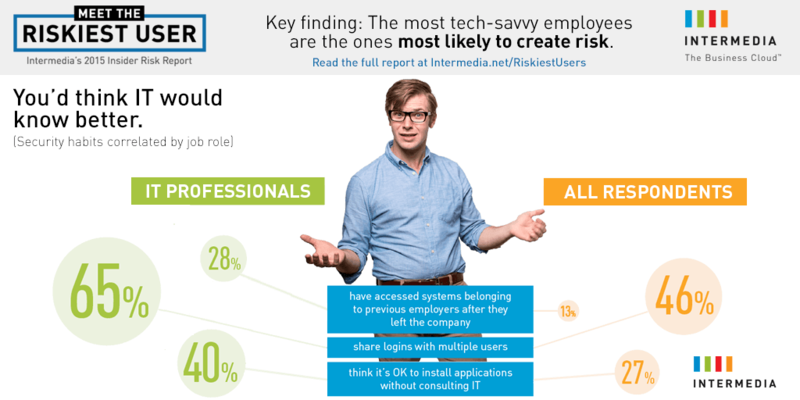 Our report is intended to give you a better understanding of the scope of the insider threat problem: that every employee with access to sensitive or confidential information (97% of those surveyed) is a potential risk to your company. And to alert you to the fact that, for many workers, attitudes toward security need improvement. So what can you do about this problem? We recommend a comprehensive approach that combines tools, training, infrastructure and policy development. We’ve even developed a best practices guide for reducing insider risk to help you get started.